This article by Jerry Cates and Elizabeth Friesenhahn, first published on 27 November 2012, was last revised on 8 July 2012. © Bugsinthenews Vol. 13:05(07). 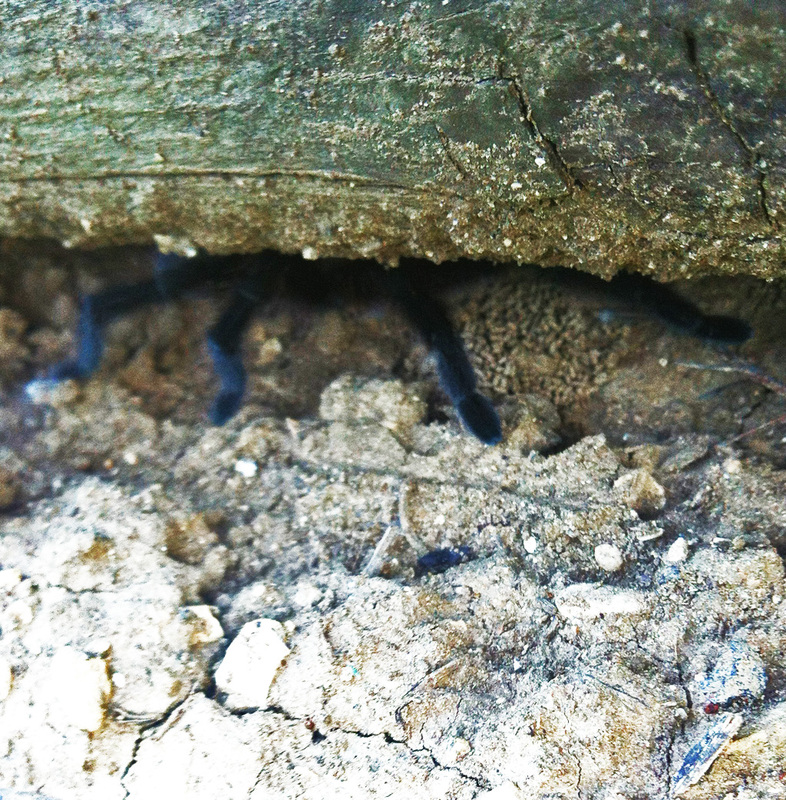 Thought you might like this photo of a tarantula I found in my Garden, burrowing under a landscape timber. 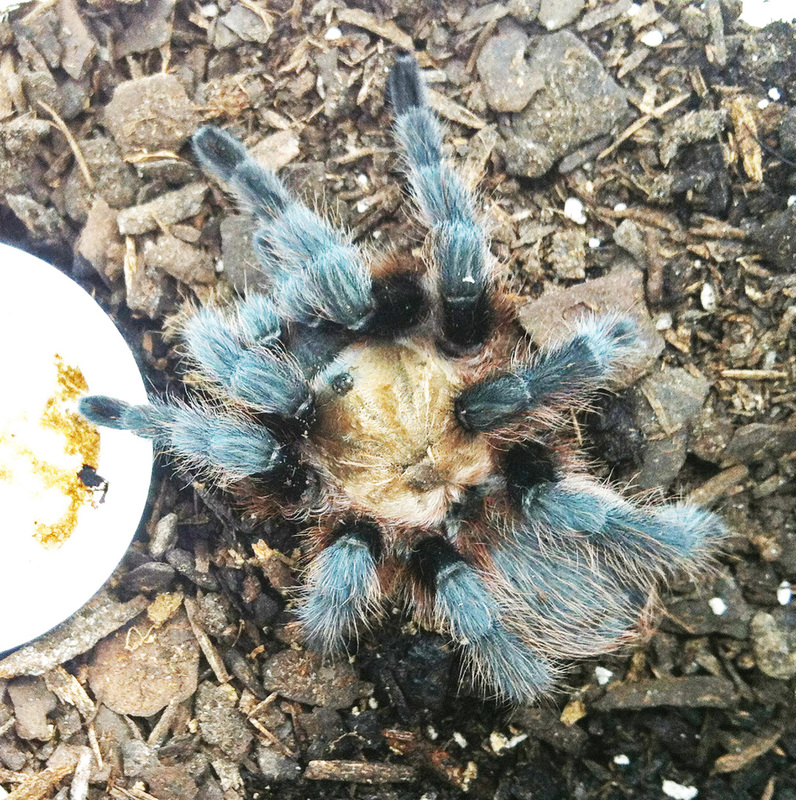 Looks like she (or he) just molted. I love the bluish tint to the bristles. What species do you think it is? 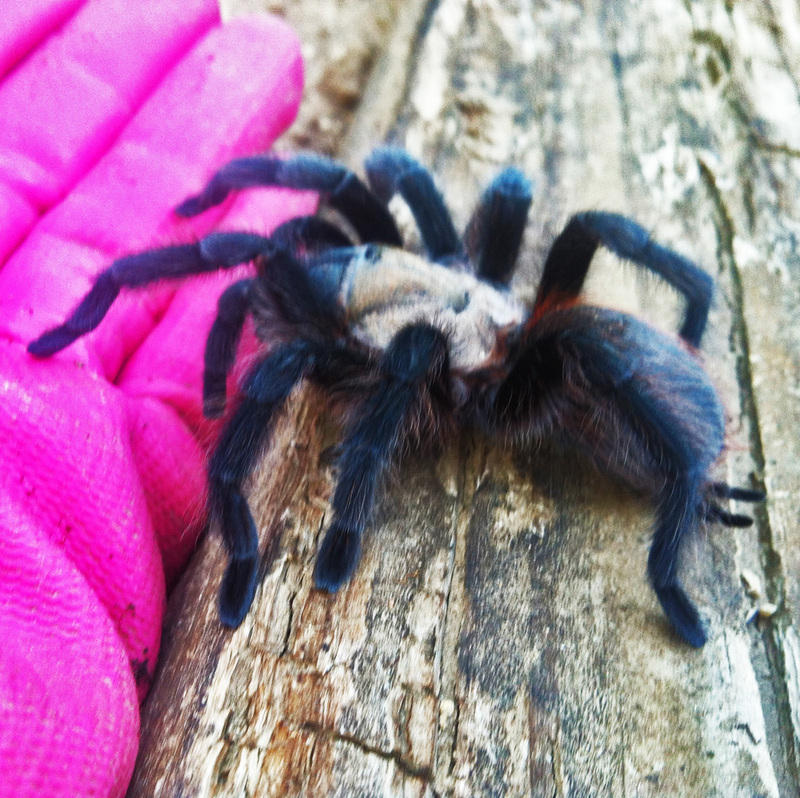 Her photos (all taken with an Apple iPhone 4) were of a female brown tarantula, at first in its (now uncovered) underground burrow, later in a large jar in Elizabeth’s home, then as it was being returned to her garden a few days later, and finally under a landscaping timber, ensconced in its new lair. The bright blue tint of its fresh coating of hairs faded slowly, over the next few days, to the more drab brown typical of the genus. Elizabeth placed it in captivity in a large jar so her grandchildren could study it during their regular visits, then watched it — and photographed it — until finally returning it to her garden. There it wandered back under a landscaping timber, returning to its earlier life as a denizen amongst the herbs and flowers, stalking its prey and enjoying a life of freedom. Females of these spiders live many years, more than twenty in captivity, probably less in the wild; the males do not fare so well, as they live but one or two years, victims of their incessant search for females in favor of picking a good spot to settle down in and relax. Elizabeth’s other photos are posted following the taxonomical notes on this animal, below. Though it is obvious this is a female — due to the fact the pedipalps (the short, diminutive leg-appearing appendages in front of the face) are not swollen at their distal ends to form the male organs of intromission — and is most likely a member of the genus Aphonopelma, we cannot identify it to species. Species determination requires examining its internal genitalia, postmortem, under the microscope, and even then — inasmuch as the characters of the male genitalia are more definitive of speciation than those of the female in this genus — such an examination might still fall short of producing a firm conclusion regarding her precise identity. “She had a fairly deep pit up under a landscape timber under my cauliflower plants. I was weeding when I saw a frog (see fig. 100 — the frog is in the lower right corner). The frog hopped underneath the timber and I pulled it back and found this lovely spider. 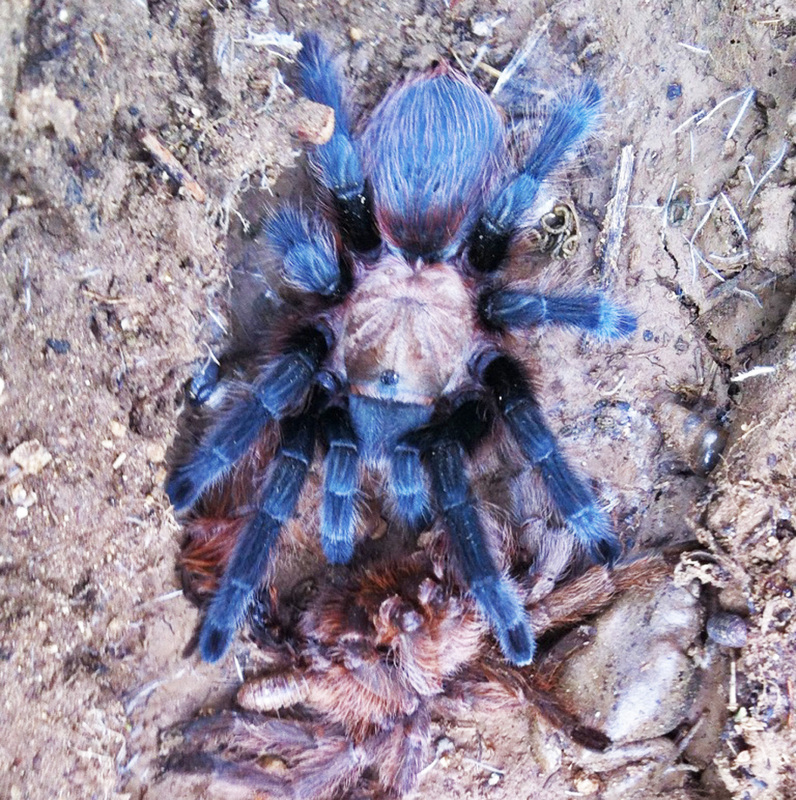 I noted what appeared to be a brown spider and thought it was another tarantula that had been killed, but after reading a bit I realized it was her molted skin. 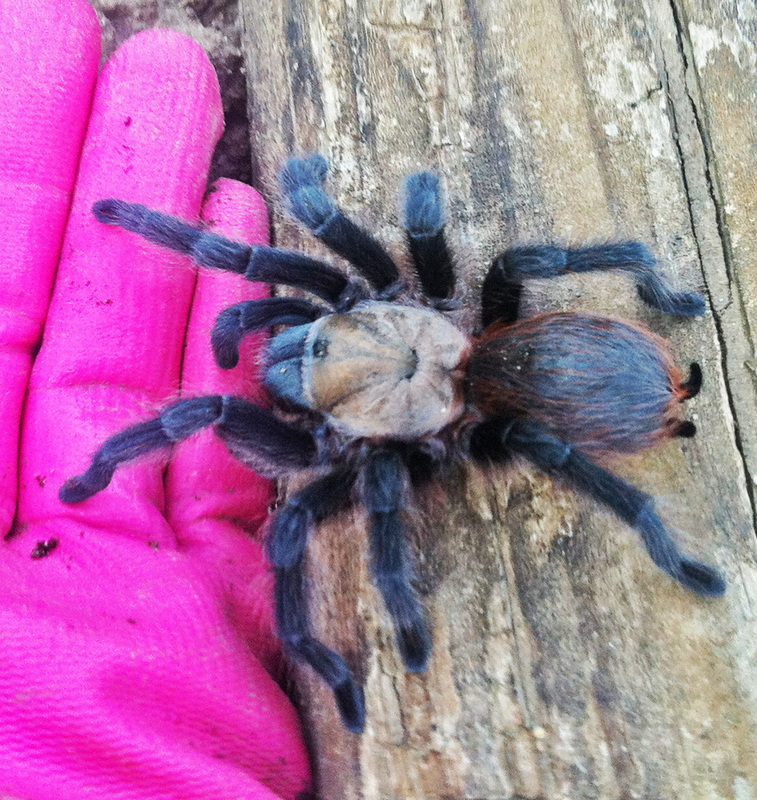 After I emailed you and did some reading on the American Tarantula Society website, I thought I might get a closer look at her. She is in a big jar (with a lid that has slots for ventilation) about 6-inches of potting mixture and a spot of water in a lid. She is very quiet. I will release her back to where I found her in a couple of days. Wanted my grandchildren to see her up close and learn about how beneficial they are. 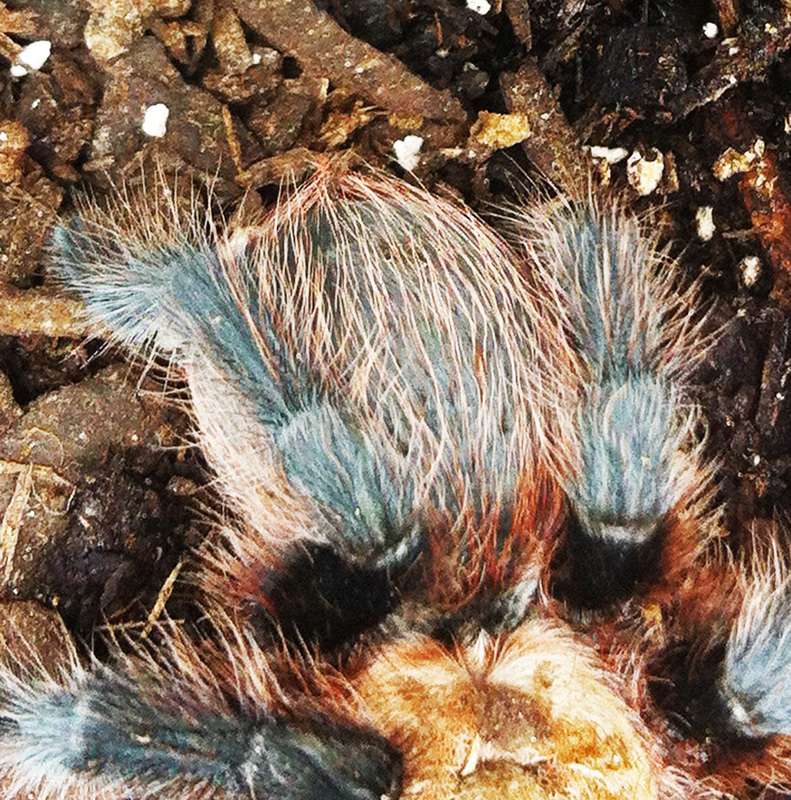 Species: some 90 species of tarantulas in the genus Aphonopelma have been described. 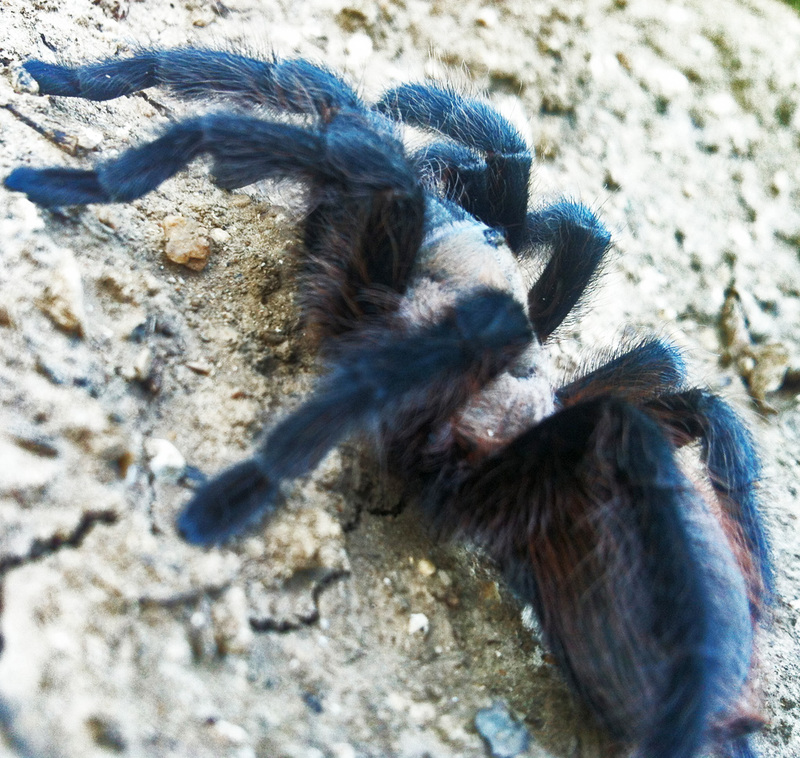 The genus includes most North American tarantulas north of Mexico and a significant fraction of the tarantulas of Central America. Most have large bodies and leg spans, have urticating hairs on their abdomens, and do well in captivity. Identification to species level is difficult, especially for species that are brown or black without conspicuous markings. Beccaloni, Jan. 2009. Arachnids . Univ. Calif. Press. Comstock, John Henry. 1912. The spider book: a manual for the study of the spiders and their near relatives . University of Michigan. Dean, D. Allen. 2012. Catalog of Texas Spiders. Texas A&M University. Dondale, Charles D., and James H. Redner. 1978. 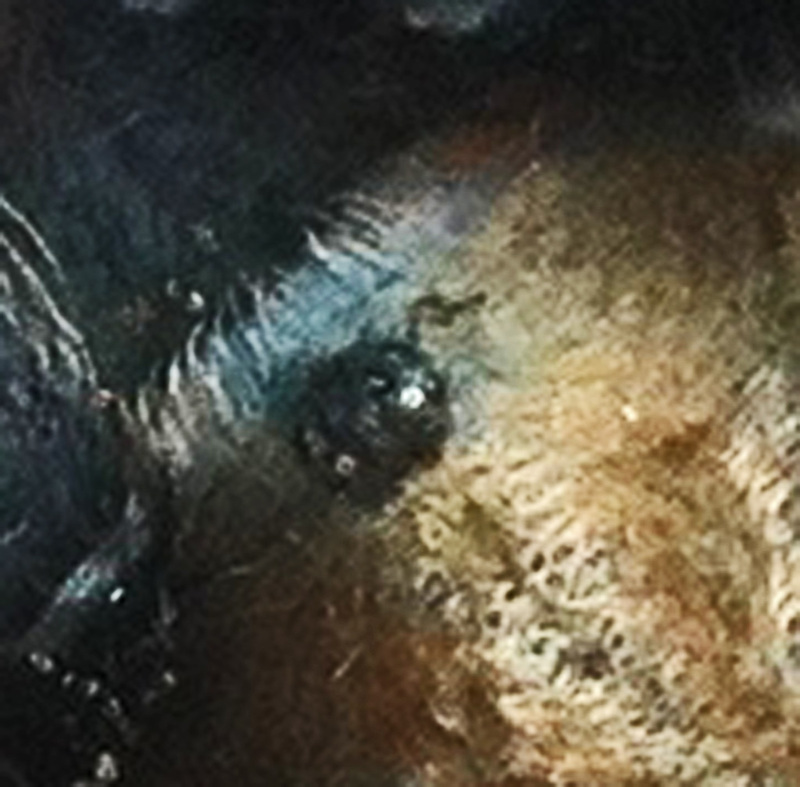 Revision of the Nearctic wolf spider genus Schizocosa (Araneida: Lycosidae). The Canadian Entomologist110(2):143-181. Emerton, James H. 1902. The Common Spiders of the United States . Kindle, hardcopy, and paperback editions. Foelix, Ranier F. 2011. Biology of Spiders , Third Ed. Oxford Univ. Press. Gertsch, Willis J., 1979. American spiders . Von Nostrand Reinhold Company. Howell, W. M., and R. L. Jenkins. 2004. Spiders of the Eastern United States: A Photographic Guide . Pearson Edu. Jackman, John A. 1999. A Field Guide to Spiders & Scorpions of Texas (Gulf Publishing Field Guide Series) . Gulf Press. Kaston, B. J. 1978. How to know the spiders (The Pictured key nature series) . WCB McGraw Hill. Levi, Herbert W., and Lorna Levi. 1987. Spiders and Their Kin (Golden Guide) . Golden Press, New York. Lubin, Yael, and Trine Bilde. 2007. The Evolution of Sociality in Spiders. Adv. Study of Behav. 37. Platnick, Norman I. 2012a. The World Spider Catalog; FAM. 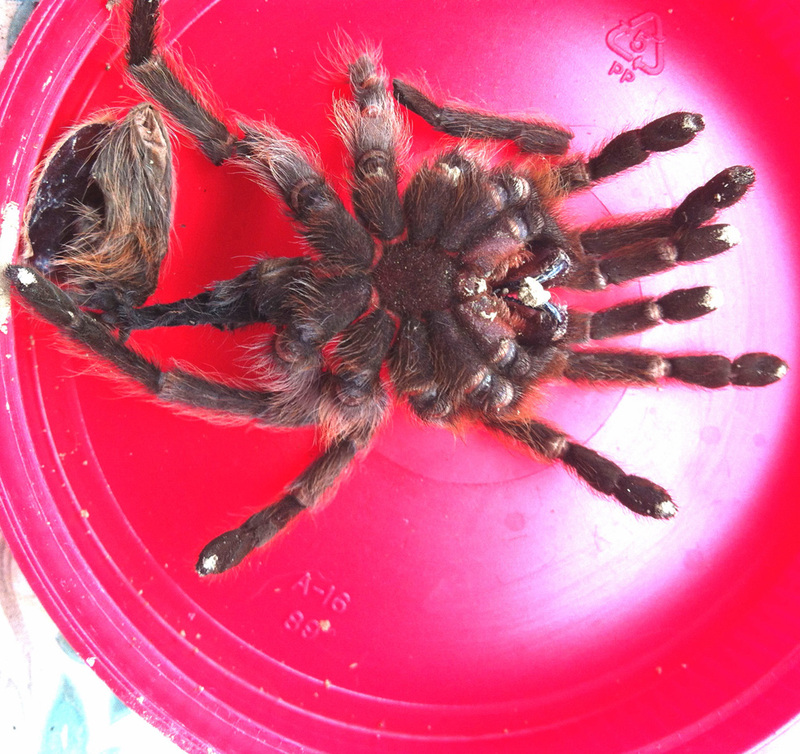 THERAPHOSIDAE Thorell, 1869: 25 [urn:lsid:amnh.org:spiderfam:0010]. American Museum of Natural History. Platnick, Norman I. 2012b. The World Spider Catalog, Version 12.5; Currently Valid Spider Genera and Species. American Museum of Natural History. Preston-Mafham, Rod. 1996. The Book of Spiders and Scorpions . Barnes & Noble. Wickler, Wolfgang.1968. Mimicry in Plants and Animals . World University Library. Questions? Corrections? Comments? e-mail jerry.cates@bugsinthenews.info. You may also register, log in, and leave a detailed comment in the space provided below.